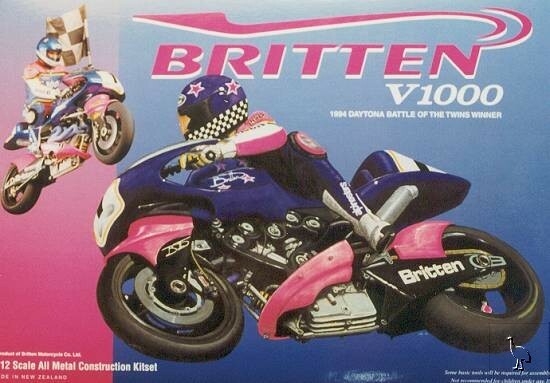 Destined to become one of the greatest collector's pieces of all time, the Britten V1000 has a remarkable history. Built by a visionary New Zealander, this exceptional machine went from complete obscurity to international fame in a few short years. 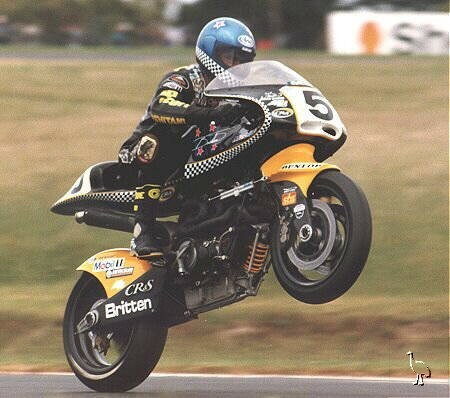 John Britten designed his motorcycle from the ground up and manufactured almost all the components, assembled them into a firebreathing monster and took on the likes of the multi-million dollar Ducati works team to take the world title. Nothing like that has happened in the motorcycle world for over half a century - it is simply not possible for "back-yarders" to field competitive machinery. But John Britten achieved his impossible dream, and the result was the greatest motorcycle in the world. 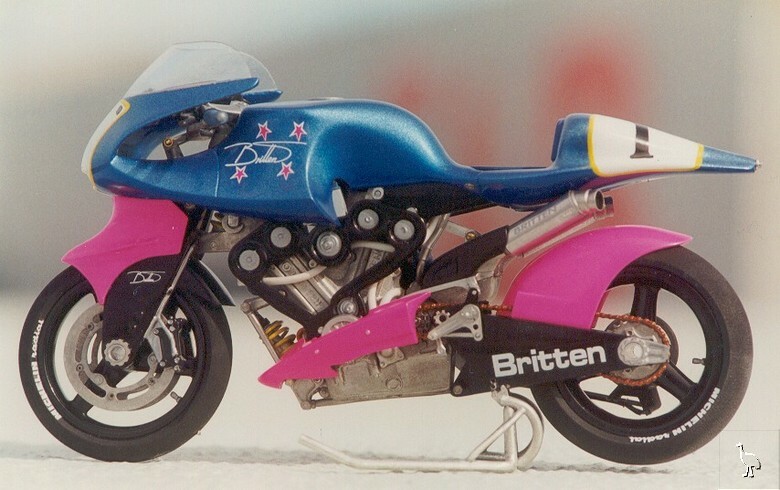 The Britten Company have produced a superbly detailed die-cast kit which reflects the glory of the original, of which only ten were produced. The limited edition kit comes packed in a box lined with green velour and is supplied with highly detailed instructions. Suitable for the experienced scale model builder, this kit will reward your efforts with a finished result which is a joy to behold. Fine examples exist in notable collections, including that of the Allen Motorcycle Museum. The writer is a modeller who has built hundreds of different models over the years - ships, planes, trains ... and motorcycles - and I have certainly never seen a better presented kit than this.